Is the vinyl siding on your home worn or damaged, an you need replacement? Titanium Restorations has the experience you need and uses the top products in the industry. Siding is the first to be hit by a storm and is the outermost shell of your home. At Titanium, we know how to make sure your home will be prepared for any storm as well as hold up against the inevitable aging process. Siding ages with weather and time, can become cracked, withered and even loose part or full panels. Wind for storms can damage siding but most people don’t know that moisture from storms can cause fungus, damaged soffit or fascia (roof edges) and potentially leaks. These problems can work their way through the siding on your house and cause major damage down the line. This is why it is important to resolve siding issues immediately. At Titanium, we know the exact signs to look for in different types of siding damage and the steps to take and effectively address the problem. Each home is accessed with repair efforts for each specific situation.. There are several types and styles of siding to choose when for the outside of their home. At Titanium, we offer an endless variety of siding choices.  Choose from top quality products for shake, shingle vinyl, stone, and horizontal or vertical vinyl siding that we provide at our assessment consultation.